Purchase 4 Pin CC RGB LED online in India at low price from DNA Technology. 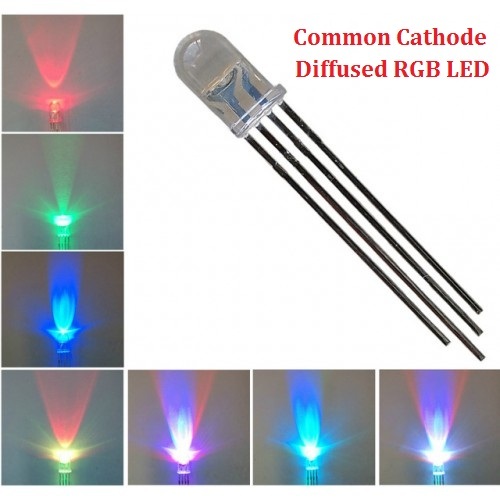 This is a 5 mm common cathode RGB diffused LED. This LED basically consist of 1 red, 1 green & 1 blue LED in a single package. All these three LED's share a common cathode and each of them have a separate anode through which you can control the intensity of individual color.